Today’s UFO news focuses on a bizarre UFO sighting off the Atlantic Coast of the United States, where two commercial pilots attempted to communicate with a UFO by using the lights of their aircraft, according to a report filed with the National UFO Reporting Center (NUFORC), and one pilot believes that they succeeded in doing so. The two pilots, who for obvious reasons given the history of UFO news reports, have chosen remain anonymous. Their UFO report outlines a 10-minute sighting that occurred off the coastline nearest to Atlantic City, New Jersey, during a routine flight from New York to Miami the day after Christmas. The details included in the report are both professional and appear to be highly reliable. The pilots describe the altitude of their aircraft, the weather, and a detailed report about how the UFO appeared to them. Like many other UFO reports over the last two months, this UFO disappears. In this description, the pilots are clearly establishing a fast-moving UFO, as earlier in the report the pilot commenting established that his aircraft was moving at Mach 0.80. In civilian terms, the pilots are traveling at over 600 miles per hour. That means that the UFO in this news report is moving at a rate of speed that likely exceeded Mach 1, or breaking the sound barrier, many times in order to close the distances both toward and away from the commercial airliner. At this point, the pilot who was captain on this flight turns the report from interesting to astonishing. It’s important to establish a key point regarding this UFO news. A commercial pilot’s experience is invaluable, but that pilot’s conclusions about a UFO are just as subject to confirmation bias as anyone else’s. Is the captain filing this UFO report seeing random light flash responses, or is the second pilot seeing patterns where none exists? Two human beings that operate at a high level of situational awareness are watching the same object, and both are seeing entirely different realities. That makes this UFO news more interesting and raises other questions. The uncertain shape of the craft and the red and orange colors do mimic those UFO news stories. However, unlike the other reports, these pilots were observing a craft at high altitudes instead of on the ground so it is hard to know without more specific details about the UFO sightings from the ground. But the witness in Texas did note altitude changes with the UFO he observed. That disagreement strengthens the veracity of this report by acknowledging the differences in experience, but it also begs a question. Does the disparity also serve to validate the probability that a UFO was moving along the New Jersey coastline? Neither pilot is in dispute that a UFO was moving at extraordinary speeds and with fast changes in altitude and direction. Two highly trained observers of the sky are unable to identify a craft moving in front of them, which is worthy of the news coverage alone, but could this also be a UFO that is similar to the news in the states of Washington and Texas a few days later? It would be fascinating to get further details on why the second pilot perceived communication in the flashes. 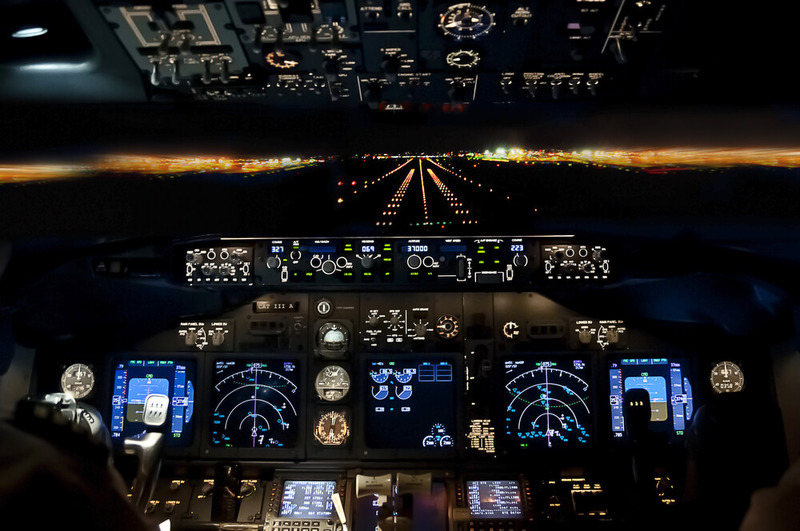 Did two commercial pilots communicate with a UFO? Hopefully, further research will clarify that exciting possibility.